In looking upon Love and Friendship, whether on the screen or on the page — for there are both, and both belong to Whit as well as to Jane — it may seem difficult to register any aspect as “grave,” but in true Wildean tradition, regarding all aspects as “important” is exactly what gives both works their verve. The characters’ chafing banter may sound like empty patter, or their pretenses look like silly buffoonery, but taken seriously, it all makes for wry commentary on the woes of ladies and gentlemen, money and marriage, whenever Lady Susan is in town. With what appears to be a free reign but is surely a studied praxis, Stillman imagines and completes Austen’s healthy, stinging critique of Georgian social structure and propriety by instilling in it an exuberantly funny postmodern sensibility that (as all good postmodern works do) distances us just enough — in this case, from the insular bubble of tea-time landed gentry in England — to point the finger at “them” (the Brits) and “us” (the Yanks) at the same time. For who among us can turn away from the rustling silk frocks and dappled light of the manner’s gardens — until we hear of fears of being tarred-and-feathered on our own shores? Myths of getting scalped on the “wrong” side of the Atlantic are just as biting here as are garden peas in a dinner-table conversation that Stillman has invented for Austen’s British-Isles crowd. Lady Susan’s charm can turn on a dime without her face ever disclosing a case for such. “How dare you approach me —” she snarls at a genteel young man on the street who addresses her — “… (cease at once or) I shall have you whipped!” She struts through the countryside in an aura of her own making to dispel the notoriety that circulates regarding her “disgraceful” behavior as a live-in guest at the home of her friend. As a practical-minded widow, she’s in pursuit of husbands for herself and her daughter, soon to be of age. But Lady Susan’s self-styled enactments of honor and etiquette are a sight to behold. Turning to her brother-in-law for residence and thereby raising the ire of his wife, she further takes on the seduction of the woman’s brother, ten years her junior. She relishes it as a challenge; he, scoffing at her reputation as “the most accomplished coquette in all of England,” looks at her as an anthropological study. It’s a game masterminded from both directions. This is a lady who does damage but possesses an unsurpassable skill in dismissing it. Upon a complaint that her former hostess grew furious over Lady Susan’s successful flirtation with the host, she quips that the woman should never have married so charming man if she couldn’t support feelings of jealousy. And when Lady Susan’s daughter, whom she deems a simpleton for declining the wooing of a truly empty-headed “rattle,” as he is known by all, would be placed in a new private school, Lady Susan rationalizes, “The fees are too high to even think of paying, so, in a sense, it's an economy.” She extends her distaste for motherhood to England as a Mother country by referring to post-Revolutionary America as “a nation of ingrates,” adding, “Only having children makes you understand such behavior.” These last comments she shares with her friend and confidante, exiled from her unhappy home in the New World and disenchanted with her dominant but wealthy husband who has the gout. “Too old to be governable, too young to die,” Lady Susan observes. For all her apparent cynicism, Lady Susan is disarmingly subversive as the only one of her cohort, including her American friend, to defy the code for “woman’s place” in Georgian society when young females were at the mercy of male seducers. What never ceases to surprise is the wit and elegance of her “immoral” behavior, and what cannot fail to impress is the trailing discovery that she was a good two centuries ahead of her time in seeing the mores for what they were. The funny thing is, the narrator, related by blood to the characters in the novel, is too young to have witnessed the events and dialogue he claims are false. 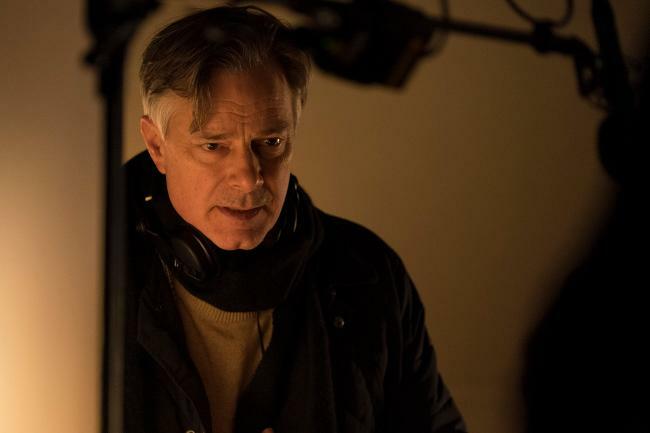 He simply believes his mother, who told him, “Your ability to exactly imagine former scenes and past times, despite not having been present yourself, is nearly indecent.” Remember, now, that narrator is actually the playful Whit Stillman (who lives even further down the line). Questions of shifting perspective and the reliability of authorship tease us from one work of art to another here, all in the spirit of good postmodern play, in “adapting” a text that began as letters among multiple characters in the first place. 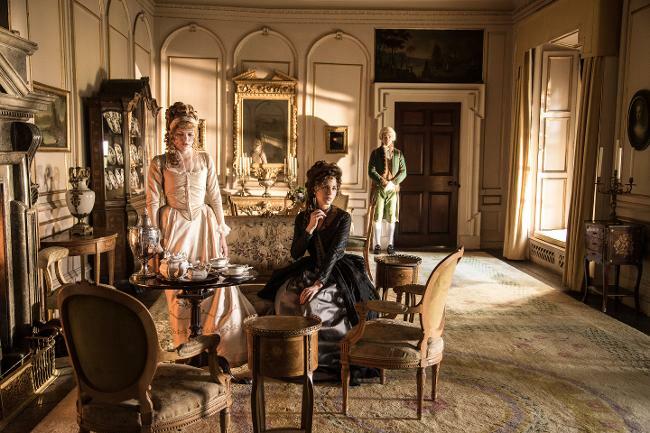 As the creator of the screenplay, the novel, and the fictional commentary on Austen’s novella — let alone the film in its cinematic form — Stillman gives us plenty to chew on about a “lady,” her times, and ours. Director: Whit Stillman; Producers: Whit Stillman, Katie Holly, Lauranne Bourrachot; Co-Producer: Raymond van der Kaaij; Screenplay: Whit Stillman; Cinematographer: Richard Van Oosterhout; Editor: Sophie Corra; Sound: Jean Luc Audy; Music: Mark Suozzo, Richard Van Oosterhout; Production Design: Anna Rackard; Costume Design: Eimer Ni Mhaoldomhnaigh. Cast: Kate Beckinsale, Chloë Sevigny, Xavier Samuel, Emma Greenwell, Justin Edwards, Tom Bennett, Morfydd Clark, Jemma Redgrave, James Fleet, Jenn Murray, Stephen Fry. Color, DCP, 93 min. In English.